This is a subtle redesigned version of our 22030 intake manifold. Slight changes that were made to the port dividers and runners have added at least 7 HP and as much as 25 HP over the standard Hi Rise version. Very similar to the Hurricane + intake by Pro Products. This intake fits 1955-1995 small block carbureted engines except the L31 vortec heads. 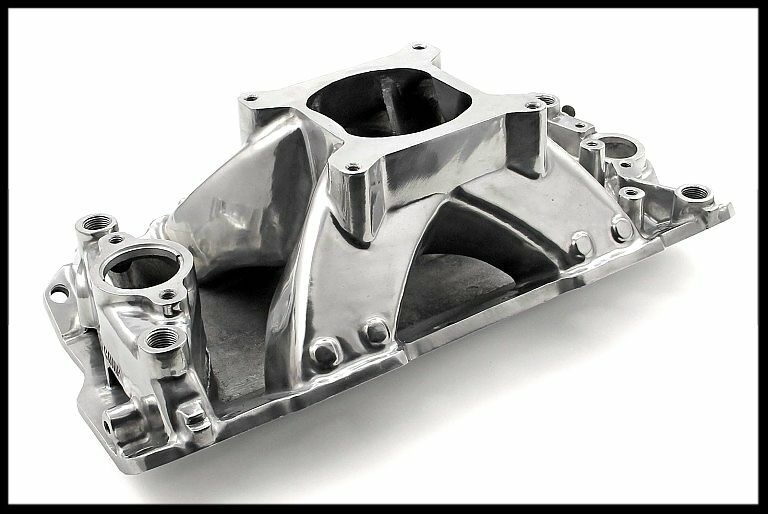 It is a non-EGR equipped, 360 degree single plane high rise intake manifold and is ideal for maximum street performance and racing applications. It will provide outstanding power from 3500 to 7800 RPM with optimum power in the mid to upper RPM ranges. This single plane intake is the best choice for achieving the highest horse power possible. This is our favorite intake as we have dyno proven it to be the best for overall power. If your engine is in a heavy vehicle such as a pickup truck, then you may want to use the Typhoon dual plane intake as it will move your torque band into the lower rpm range slightly. This intake also gives an engine a very serious appearance with its tall stance. Be sure you have sufficient hood clearance as this intake is taller than most others styles. We also offer this in the polished version. See our other listings. After extensive development, we have a manifold that outperforms the standard shootout manifold. 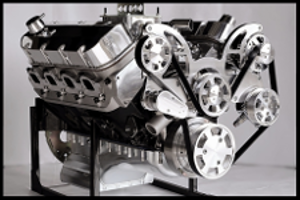 Depending on the specific engine combination, we have seen as much as 20 extra horsepower over the standard Elite manifold. Note that this extra power is mostly showing up over 7,000 rpm. So if you aren’t turning your engine in the 7,000 to 8,000 rpm range, stick with the standard Elite manifold. Below 7,000 this manifold is only 3 or 4 more horsepower better. - Intake Port Dimensions 1.80"x 1.11"
The intake ports are intentionally left small to provide a starting point for custom porting and port matching to your cylinder heads.